Today is my turn on the Great Granny Twist Blog hop hosted by the Fatquarter Shop and Lori Holt of Bee In My Bonnet. 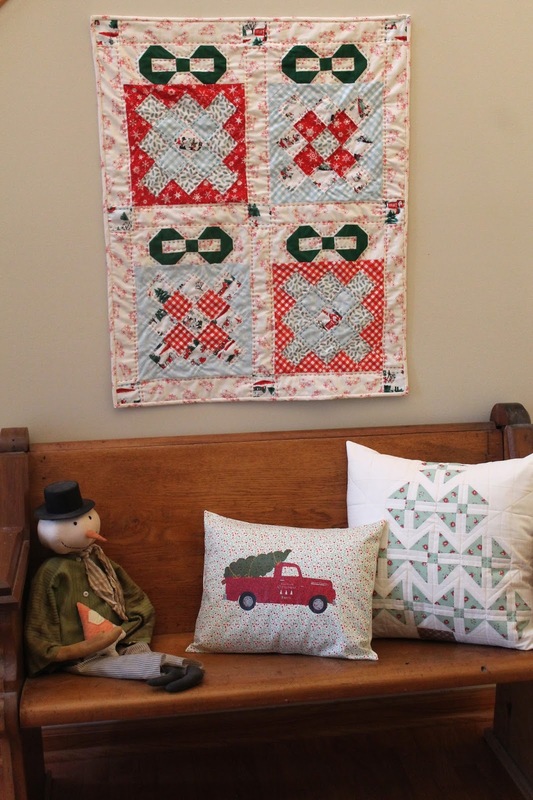 Check out the Fatquarter shop video here to see how they made the quilt above. 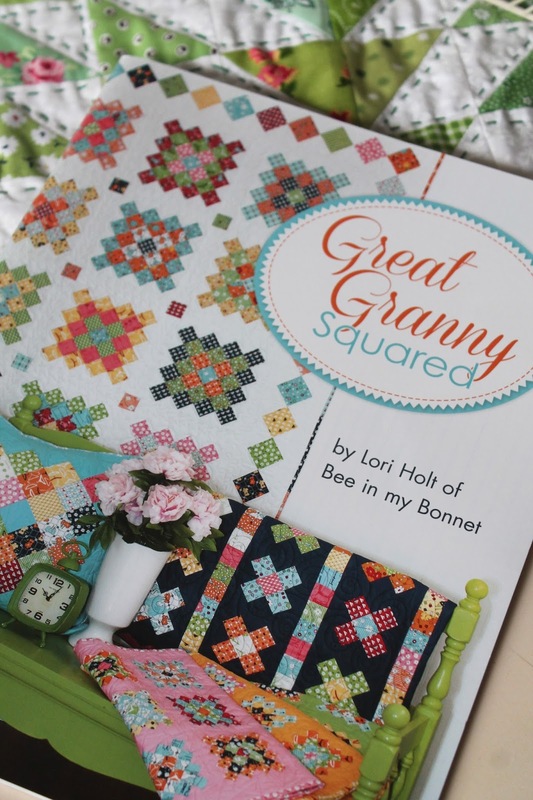 We were asked to take a project from Lori's book Great Granny Squared and put a new twist on it. I love a good challenge! I was humming Christmas carols when I began playing around with my design. I ended up combining two elements from the book. I made four blocks from the Great Granny quilt pattern on page four and topped them with a bow from the Great Granny Quilt Label on page ten. It was a lot of fun! The fabrics used in the wallhanging are from RJR Fabrics "White Christmas". 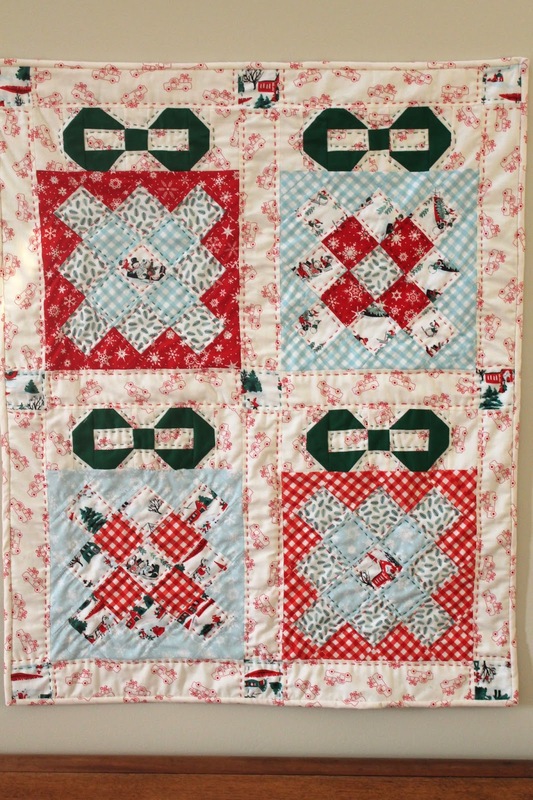 I have made many of Lori's patterns and have participated in her fun quilt alongs. The quilt above was from a quilt along Lori hosted a while back. The bow on the basket is the bow on the presents. This quilt is not only about crochet, but I use it at Easter time for decoration as well. The yarn balls remind me of eggs! I used part of the Great Granny block, the baby block, to make this sweet little quilt. It was one of the first ones I ever hand quilted. 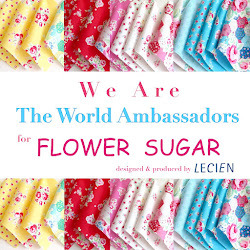 Thank you to the Fatquarter Shop and Lori for such a fun Blog Hop. 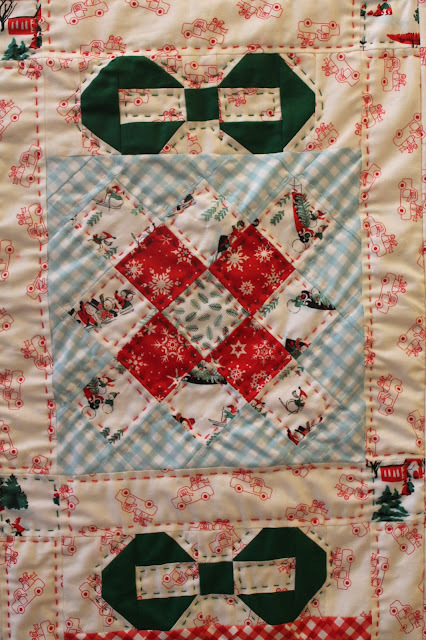 Be sure to check out the rest of the quilters for today. They are three of the sweetest ladies I know! 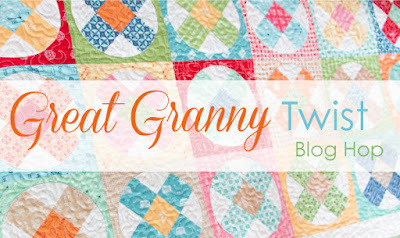 Checking out the blogs today for the Great Granny Twist hop. Your twist is very pretty. Thanks for the inspiration. ok i was just typing the same thing as debbie and looked up and saw her comment. hehe. i love seeing your handwork! Very inspiring Miss Renee. I too am a fan, I love everything you make. Inspirational. That was a very clever idea! I love the bow on top of the block! 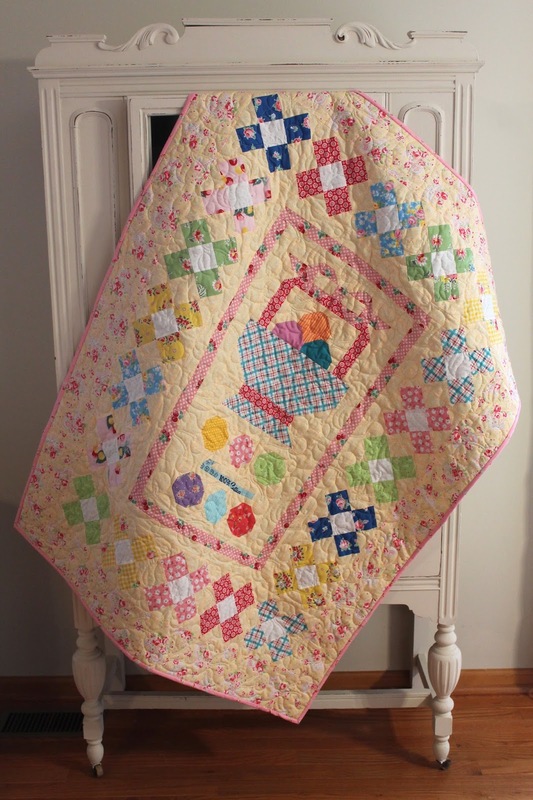 Beautiful little quilt! These blocks are so clever! What a cute idea! Love your little quilt! So cute! Love your little Wallhanging. They look like presents all ready to be unwrapped come Christmas. Beautiful! Your quilt is beautiful! Love the bows! All your makes are delightful! It is such a versatile block, isn't it?! Big or small. Granny square are a delight. Your quilt is so cute. 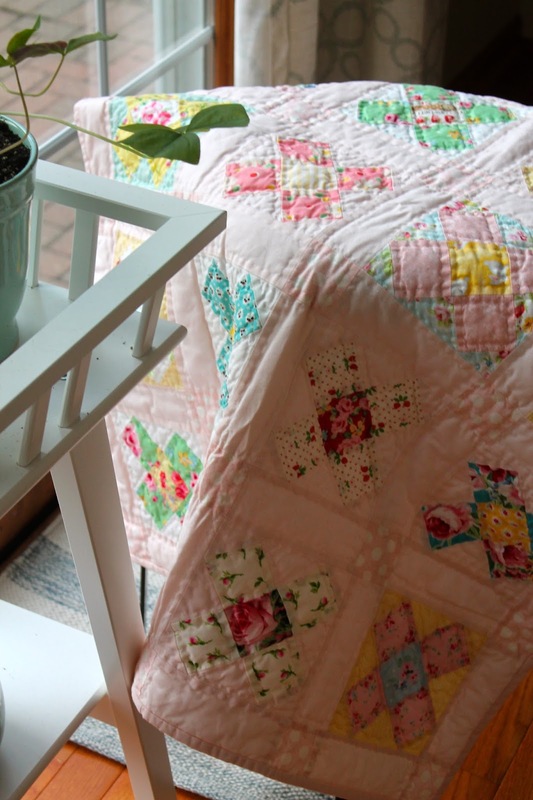 I love seeing your quilts sew much and the beautiful handing quilting. I love the presents on your quilt!